Alexei may be spelt Alexey, Alexi, Alexii, Alexios, Alexius, Alexy, Alexiy, Akexis, Aleksey, Aleksi. I have not myself settled on any given principle and in what follows transcriptions will vary according to the different sources I am using. The centenary of the Bolshevik revolution is also the centenary of the institution of the Moscow patriarchate. The Bolshevik seizure of power took place on October 25th (November 7th) 1917 (1) and the church council that was meeting in Moscow at the time voted to ‘restore’ the patriarchate two days later on October 27th (November 9th), the day the Kremlin fell to the Bolshevik forces. The actual choice of patriarch took place on November 4th (17th). The choice fell on Tikhon (Belavin) (2), Metropolitan of Moscow. Actually Tikhon had only recently become Metropolitan of Moscow earlier in the year when, in the mood of the February (March) Revolution, Makary, Metropolitan of Moscow and Pitrim, Metropolitan of Petrograd (3) – both appointed by the Tsar under the influence of Grigoriy Rasputin – were deposed by ‘diocesan assemblies’ of local clergy and laity. (1) I am trying to observe the convention by which both Julian and Gregorian calendar dates are given until 14th February 1918, when the new government formally adopted the Gregorian calendar. (2) I am trying to observe the convention by which the family names of monastics are put in brackets. Monastics in principle have rejected their family connections. In the Orthodox Church all the Bishops are chosen from among those priests who have taken monastic vows. (3) St Petersburg became ‘Petrograd’ during the war for much the same reason that the Saxe-Coburg family became the Windsors. 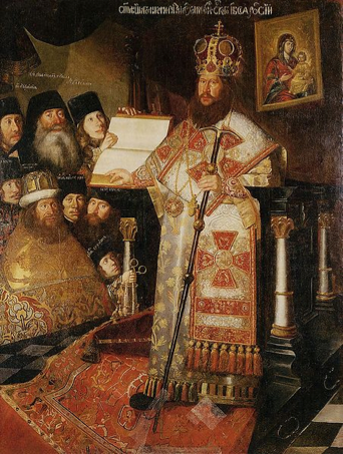 A patriarchate of Moscow had been instituted in 1589, under the Tsar Theodore, son of Ivan IV (‘the Terrible’). As the institution of the patriarchate in 1917 was immediately followed by the long battle with the Soviet government, a period of intense persecution, so the institution of the patriarchate in 1589 was soon followed by the ‘time of troubles’ – the Polish and Swedish invasions of the early seventeenth century which eventually resulted in the establishment of the Romanov dynasty. The period of the seventeenth century patriarchate, even after the Polish invasion, was turbulent, marked by the violent schism with the ‘Old Believers’ or ‘Old Ritualists’ and by the claims of some of the patriarchs, notably Filaret (1619-1933), Nikon (1652-1658, but only replaced in 1667) and Adrian (1690-1700) to a form of co-sovereignty with the Tsar. (4) Indeed something of the kind may be implicit in the title ‘patriarch’. On the one hand it suggests that the Church is independent of any other patriarchates – most particularly the Patriarchate of Constantinople with its claim to be the ‘ecumenical’ (by implication universal) patriarchate. Russia, or Rus’, centred at the time in Kiev, was received into Orthodoxy under the aegis of Constantinople in 988 but it had been de facto if not de jure independent since Constantinople fell to the Ottoman Turks in 1453. Patriarch Nikon with monks of the New Jerusalem Monastery, which he founded. I don’t have a source for this painting (apparently a collage). The other role of the patriarch was to preside as a single sovereign over the Church in a given national territory but this was a role that could also be claimed by the Tsar as previously, in the case of Constantinople, it was the prerogative of the Emperor. The patriarchate was suppressed by Peter I (‘the Great’). Initially, when Adrian, the last of the seventeenth century patriarchs, died in 1700, Peter simply declined to make the necessary arrangements for replacing him. He had only recently returned from his tour of the Netherlands and England and had been particularly impressed by conversations with Gilbert Burnet, Bishop of Salisbury and one of the leading theorists of the ‘Glorious Revolution’ of the Dutch William III. Peter would undoubtedly have seen parallels between the religious turbulence of England and of Russia in the seventeenth century, drawing the conclusion that the Church should not be allowed to act as a power independent of the state. (5) Dmitry Pospielovsky: The Orthodox Church in the History of Russia, Crestwood NY, St Vladimir’s Seminary Press, 1998, p.110. (6) Georges Florovsky: Les voies de la théologíe russe, Paris, Desclée de Brouwer, 1991, p.134. My translation from the French, the only copy I have to hand though an English translation does exist. Theophan Prokopovitch. All I know of the painting (all Wikipedia tells me) is that it was done in the eighteenth century but after Theophan’s death. (7) Dmitry Pospielovsky: The Russian Church under the Soviet Regime 1917-1982, Volume 1, Crestwood NY, St Vladimir’s Seminary Press, 1984. This is my major source for writing this article and page references will be given in the text not in footnotes. 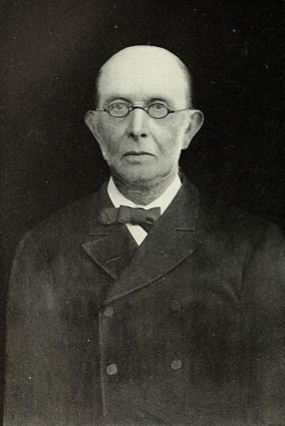 Konstantin Pobedonostsev (1827-1907). Photograph 1903. 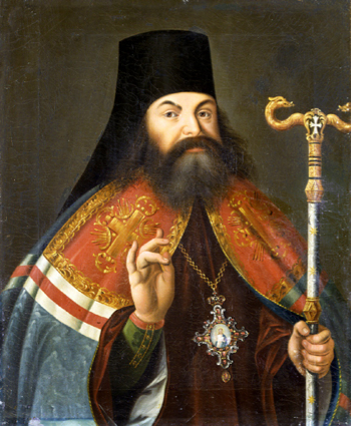 Pobedonostsev was Chief Procurator of the Holy Synod from 1880 until shortly before his death in 1907. He was notable as a theorist of absolute autocracy (and friend of Dostoyevsky). (8) Hyacinthe Destivelle, O.P. (translated from the French by Jerry Ryan): The Moscow Council (1917-1918), University of Notre Dame Press, 2015, p.26. The proposal had the support of Sergei Witte, President of the Committee of Ministers, Nicholas II’s most important adviser at the time, who was behind the ‘October Manifesto’, instituting the Duma and converting Russia, in theory at least, into a constitutional monarchy. 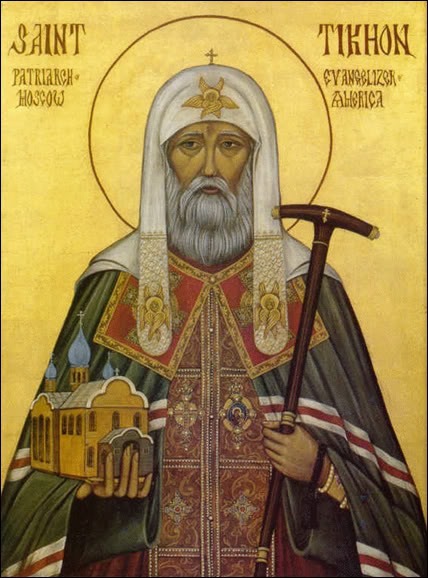 In December, Nicholas asked Metropolitan Antony, together with the Metropolitans Vladimir of Moscow and Flavian of Kiev, ‘to determine the time for the convocation of this council, earnestly desired by all the faithful members of the Church’ (Destivelle, p.33). A preconciliar commission was established which (in a report that ran to six volumes) proposed among other things the restoration of the patriarchate, working in conjunction with a council in which (albeit on a purely consultative basis) lower clergy and laity would be represented.